New Haven cycling advocate Johnny Brehon bikes through downtown New Haven. Brehon has been involved in the planning of New Haven's Bike Month, which aims to increase diversity in the cycling community. 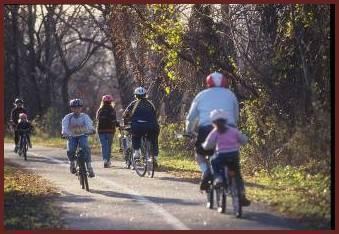 New Haven is among the most bike-friendly cities in New England. The streets of New Haven sport a colorful slate of cyclists, from college students getting to class, to city residents opting to bike to work over public transit. For the month of May, volunteers from the cycling community in New Haven aim to bring the city’s cyclists into a conversation about cycling infrastructure, safety, and culture. One goal of New Haven Bike Month -- a series of over 100 cycling events throughout the city -- is connecting the bicycle advocacy movement to cyclists who don’t feel like they’re part of the cycling community. The event’s planners want to bring in people from neighborhoods that are often cut off from street infrastructure decision-making. Caroline Smith, a co-organizer of New Haven Bike Month, said another goal is to change how people perceive the average cyclist. 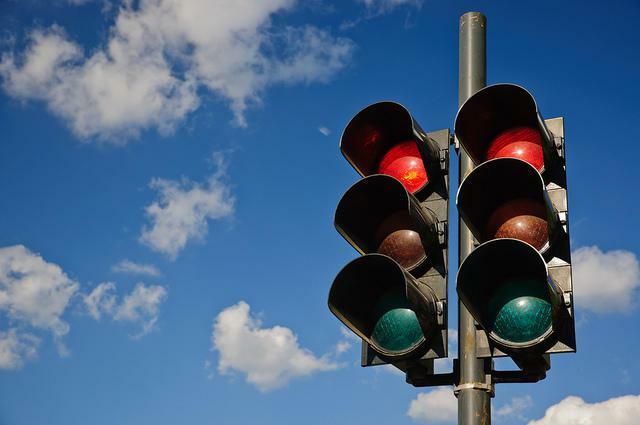 New Haven Bike Month events range from more social programs like brewery tours and cycling-themed movies – but also include skill-building workshops on repair and traffic safety. For Smith, an important piece of planning Bike Month was working with community leaders to bring the cycling events -- including several block parties -- into the surrounding neighborhoods. Professional BMX biker Mike Steidley will appear at a block party in the Whalley/Edgewood/Beaver Hills neighborhood. Smith said kids will often ride BMX bikes there, but might not always follow the rules of the road. “So we can have this awesome guy, who’s a national champion, who can also serve as a mentor figure for young people,” Smith said. 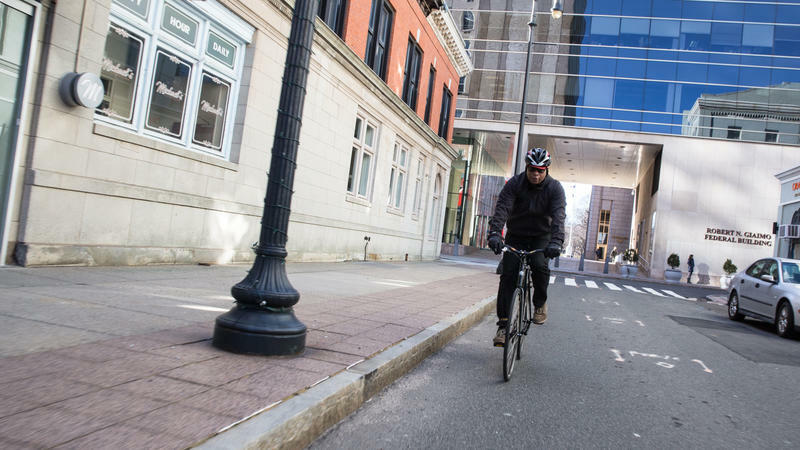 New Haven is among the most bike-friendly cities in New England, with an extensive -- and growing -- bike lane network, and projects in the works to improve bike infrastructure across the city. Smith said cycling advocates are also hoping to use Bike Month as a springboard for their “4 Lanes 4 New Haven” campaign. The goal is construction of four protected bike lanes that would pass through as many New Haven neighborhoods as possible. In June, the city will celebrate the 150th anniversary of the invention of the modern bicycle patent, which was credited to a resident of New Haven. 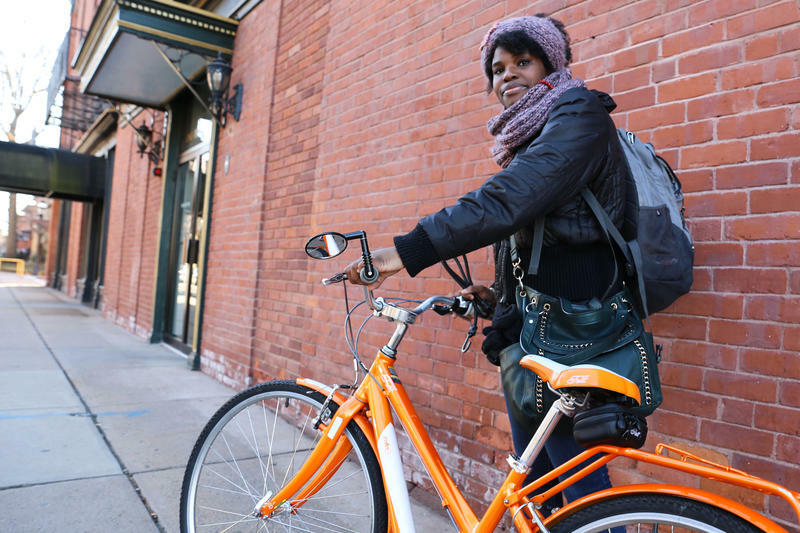 Hartford resident Tenaya Taylor, 25, became a bike commuter last summer. She’s a college student and works a few different jobs around the city. The bus schedule can be unreliable sometimes, she said, so biking for her is the fastest way to get around. The cities of Springfield, Holyoke, and Northampton along with Amherst and UMass have signed an agreement committing to move forward on a regional bike share program. The program, tentatively named “ValleyBike,” would make bicycles available to people for a small fee to make short trips. Christopher Curtis, chief planner with the Pioneer Valley Planning Commission, said the communities and the institution will be looking to obtain $1.1 million in federal transportation funds to buy the bicycles and build the bike stations. 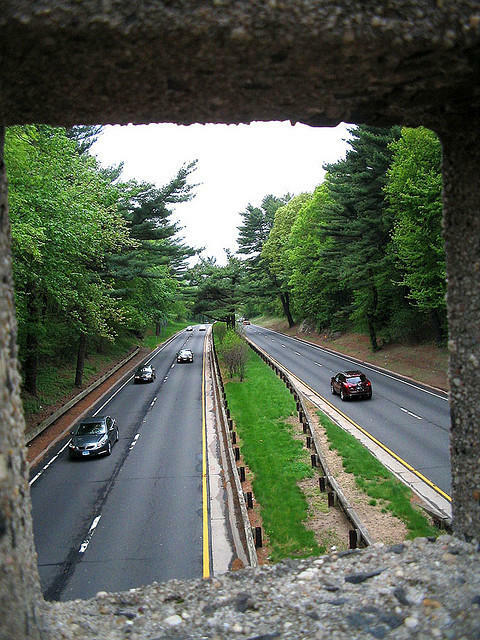 After languishing for more than 20 years, the idea of a bike trail along the Merritt Parkway is getting serious consideration. But don’t count on being able to ride your bike to work instead of tackling the notorious Merritt traffic anytime soon.